Brougham Castle was built in the early thirteenth century by Robert de Vieuxpont who was an ally of King John. Like the Roman Fort that had previously occupied the site, it was intended to secure a strategically important route through the Pennines. The castle later passed to the Clifford family who substantially upgraded the structure. Brougham is situated near the confluences of the Rivers Eamont and Lowther, important waterways that served as main lines of communication through the mountainous terrain of the Lake District. It was also adjacent to the York to Carlisle road at the point where it crossed the River Eamont and was at a junction with two further roads from Lancaster and Ravenglass. All these factors made it a key nodal point and accordingly the Romans established a fort on the site around AD 79 as General Cnaeus Julius Agricola completed the conquest of northern England including the military encirclement of the troublesome Pennine region. Known as Brocavum, it was laid out in the standard configuration for a Roman fort of the period with the headquarters in the centre surrounded by granaries, workshops, barracks and other facilities. It occupied an area of around five acres. The original garrison unit is not known although a partial inscription suggests it may have been a Regiment from France (Cohors Gallorum). The Second Cohort of Gauls (Cohors Secundee Gallorum) were stationed at Old Penrith at this time whilst the whereabouts of the Fourth (Cohors Quartae Gallorum) and Fifth (Cohors Quintae Gallorum) Cohorts are unaccounted for. Either could have been the garrison of Brougham. Although Brougham Roman Fort was originally an earth and timber structure, it was rebuilt in stone in the early second century AD. It is not certain when it went out of use but archaeological evidence suggests occupation continued at least up to the third century AD at which time it may have been replaced by a fortlet. This was located to the north-east of the main fort and occupied an area of 0.5 acre. However, it is just as likely that this outpost may have been a fortified watchtower built concurrently with the fort and intended to enable close observation of movement along the river. By the tenth century AD, Brougham formed part of the Kingdom of Cumbria. In AD 945 this domain was conquered by Malcolm I of Scotland and it remained in Scottish hands until 1092 when William II occupied the territory. William appointed Ivo Taillebois as Lord of Westmorland and he commenced construction of two castles - Appleby and Brough - to secure his new territories. Despite its key nodal position, Brougham was not fortified at this time. However, in 1203 King John granted Westmorland to Robert de Vieuxpont. He was one of the King's key supporters and his appointment in the north was intended to secure the region and control the lines of communication with Scotland. Robert took control of Appleby, Brough, Pendragon and Skipton castles and concurrently commenced construction of Brougham Castle. Collectively these fortifications gave Robert control of the Eden Valley and the route through the Pennines to York. Brougham Castle was built adjacent to the old Roman fort and plundered stone from that structure for its building material. The centrepiece of this new castle was the Keep, originally a three storey structure. This was enclosed within an Inner Ward which was protected by an earth rampart supplemented by a timber palisade. A ditch surrounded the structure on all sides except the north, where the scarp of the River bank made it superfluous. Robert de Vieuxpont joined the rebellion of Simon de Montfort against Henry III and fought at the Battle of Lewes (1264). He died from injuries sustained in that engagement and, after the defeat of the Montfort rebellion the following year, his only heirs - two young daughters named Isabella and Idonea - were made wards of the Royal court. 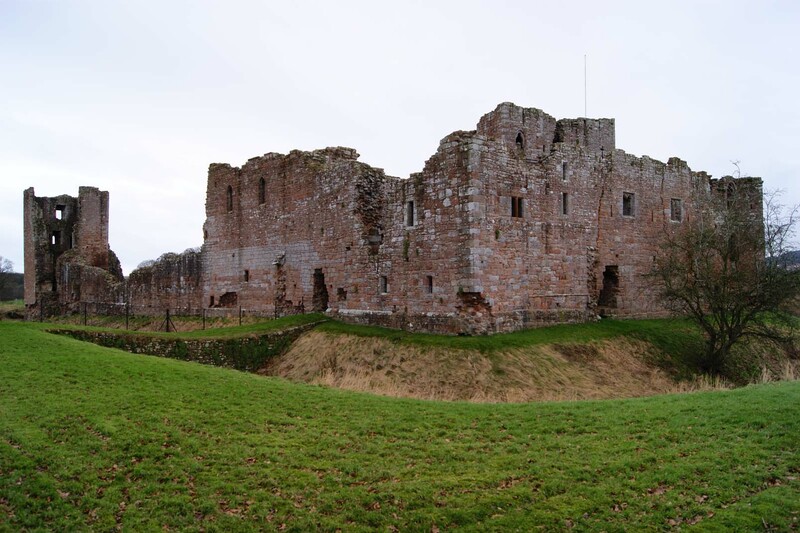 Brougham Castle formed part of Isabella's estates although an attainder imposed upon her late father meant she probably never expected to inherit. 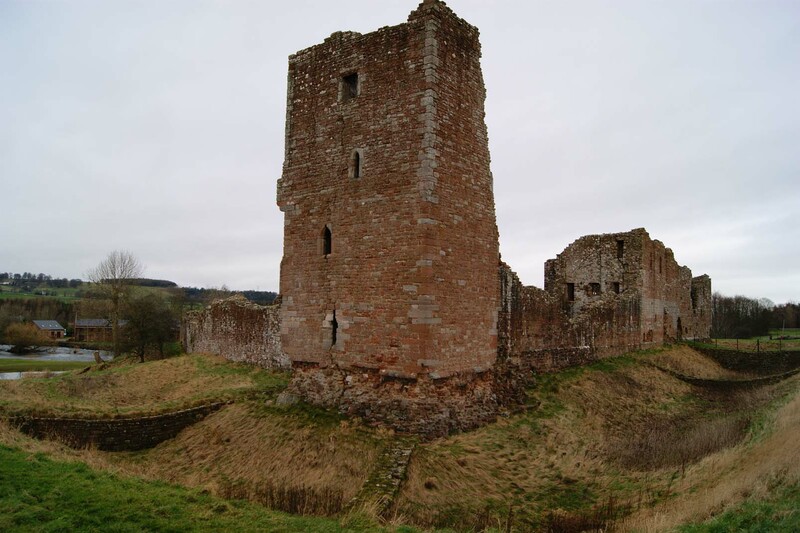 In the interim her estates were placed in the care of Roger Clifford who lobbied for removal of the attainder and in 1269, after this had been granted, married Isabella to secure control of both Brougham and Appleby castles. 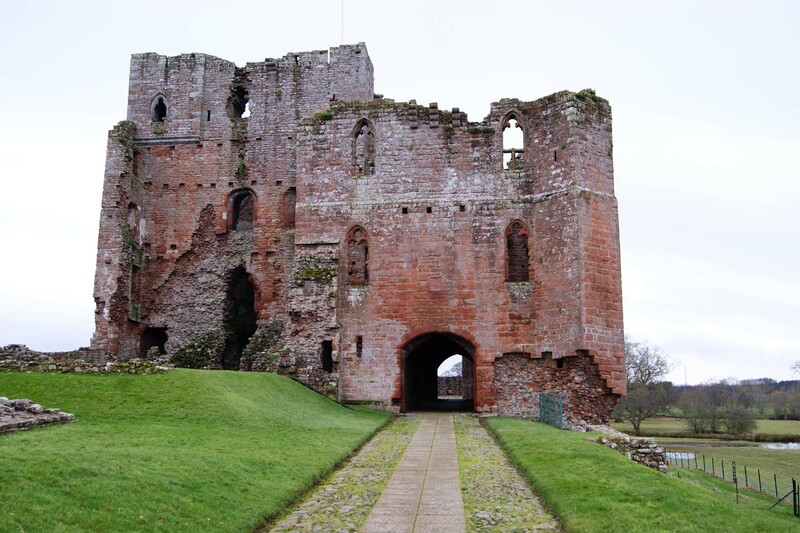 Between 1290 and 1314 Roger's son - Robert Clifford - made substantial upgrades to Brougham Castle including heightening the Keep, building the Tower of League and adding the impressive gatehouse complex. He also rebuilt the curtain wall in stone. The newly upgraded castle was used by Robert to host Edward I in July 1300. Robert Clifford was killed at the Battle of Bannockburn (1314) alongside a large portion of the English army and was followed by his son, Roger. In the subsequent years the Scots made regular raids into northern England as they attempted to force Edward II to recognise an independent Scotland. Brougham seems to have avoided any serious assault at this time but the family's other estates were badly damaged. Perhaps this is what encouraged Roger Clifford to join the Earl of Lancaster's 1322 rebellion against the King. When that uprising was defeated, Roger forfeited his possessions but, just four years later, Edward II was overthrown by Roger Mortimer, Earl of March whose regime restored the Clifford family estates. Later the Cliffords inherited the valuable Brough and Pendragon castles when Idonea, daughter of the former owner Robert de Vieuxpont, died childless. The fourteenth century saw regular warfare and raiding in the border region. 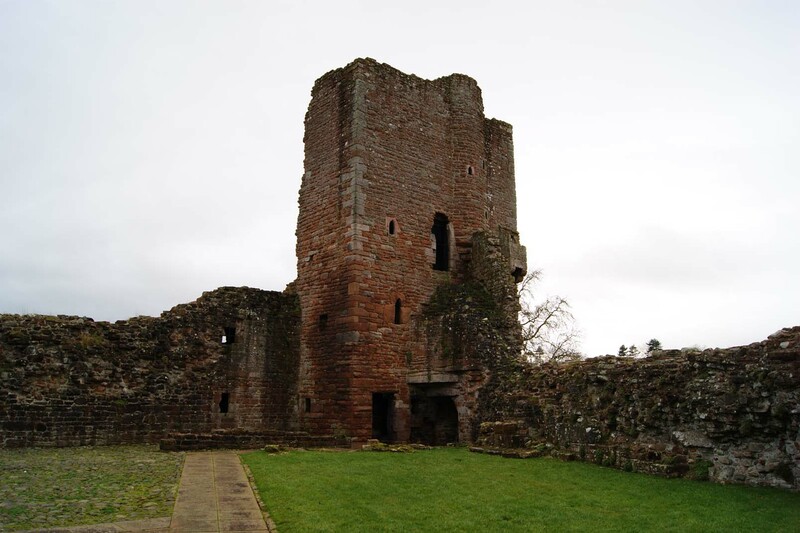 In 1388 Brougham Castle was attacked by a Scottish force and badly damaged. The castle may have been briefly abandoned at this time and is not recorded as being a functional fortification again until 1421. During the Wars of the Roses the Clifford family was staunchly Lancastrian. Thomas Clifford was killed in the first Battle of St Albans (1455) and his heir, John Clifford, died at the Battle of Dintingdale (1461); both had fought for Henry VI. However, following the decisive Yorkist victory at the Battle of Towton (1461) the Clifford estates, including Brougham, were confiscated by King Edward IV. They were eventually restored to the Clifford's following the Lancastrian/Tudor victory at the Battle of Bosworth Field (1485). In the decades that followed, Brougham Castle briefly had a new lease of life as it became a popular residence for the family. However, the Cliffords’ return to national politics meant they were increasingly absent from their northern properties and, although it hosted a two-day visit by James I in 1617, it was neglected and in a poor state of repair. George Clifford, Third Earl of Cumberland died in 1605 leaving a daughter, Anne, as his only heir. In 1649, after an extended battle to secure her inheritance, Lady Anne Clifford finally took possession of her father's estates including Brougham Castle. Although she chose Appleby Castle as her main residence, she spent significant sums at Brougham restoring the castle to its former glory. The service range was rebuilt and a garden laid out between the castle and site of the former Roman fort. She continued to use Brougham as a residence until her death, within the castle, in 1676. Thereafter it passed into the hands of the Earls of Thanet but they did little to maintain the structure and by the mid-eighteenth century it was ruinous. In 1928 the castle was put into the hands of the Ministry of Works. Brougham Castle consists of the ruins of a thirteenth century castle along with later modifications. The site is in the care of English Heritage. 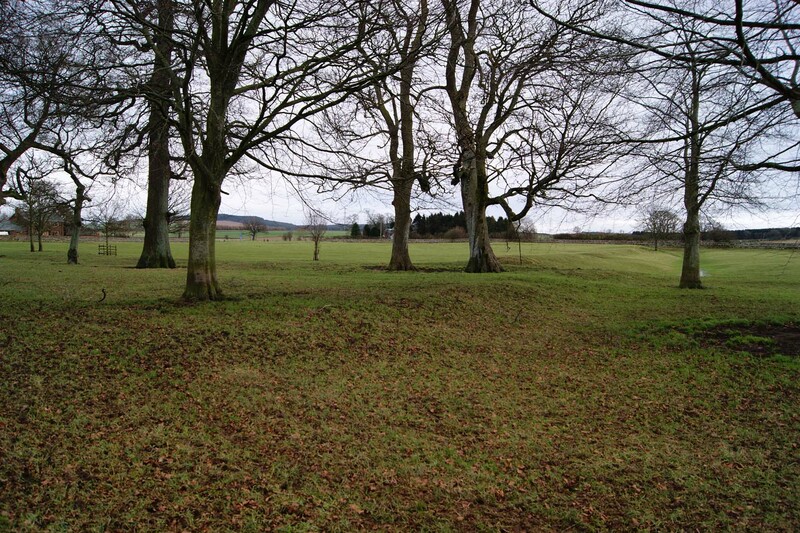 The earthworks of the former Roman Fort can be seen from the castle but are on private land with no public access. 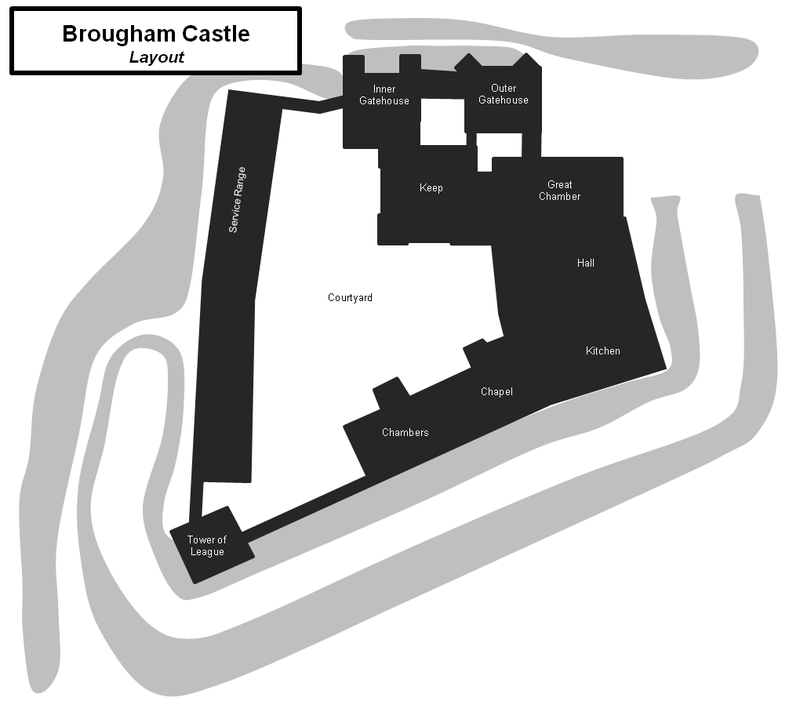 Brougham Castle Context and Layout. The castle and fort were located near the confluence of the Rivers Eamont and Lowther. The castle itself was configured around a single ward with the Keep in the north-east corner. A second Keep like structure, the Tower of League, was added around 1300. Gatehouse. The impressive gatehouse was built by Robert Clifford between 1290 and 1314. Originally intended to consist of just one tower, it was enlarged in 1300 with an Outer Gatehouse, added. Keep. The Keep was built by Robert de Vieuxpont after he had been granted the title of Lord of Westmoreland by King John in 1204. It was originally three storeys tall but was heightened by Robert Clifford in the 1290s. Tower of League. The tower was built by Robert Clifford around 1300 and its primary purpose was to act as a redoubt, in addition to the Keep, in the event attackers breached the curtain wall. It also served as high-status accommodation presumably for guests visiting the castle. Curtain Wall. The curtain wall was built in the 1290s and replaced an earlier timber palisade. Brougham Roman Fort. The Romans constructed a fort called Brocavum in the late first century and the site seems to have been occupied for the bulk of the second and third centuries AD. The stone from the Roman fort was recycled and re-used in Brougham Castle. 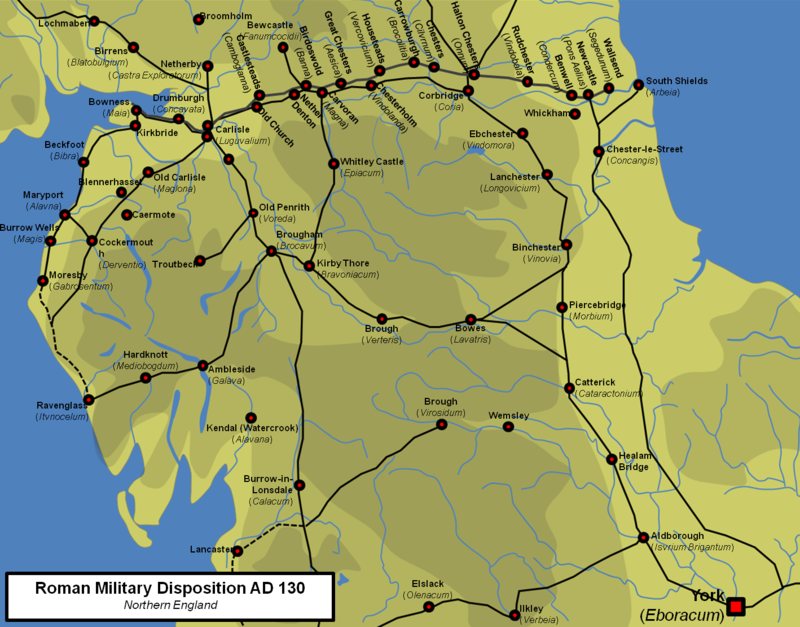 Roman Military Presence Northern England. 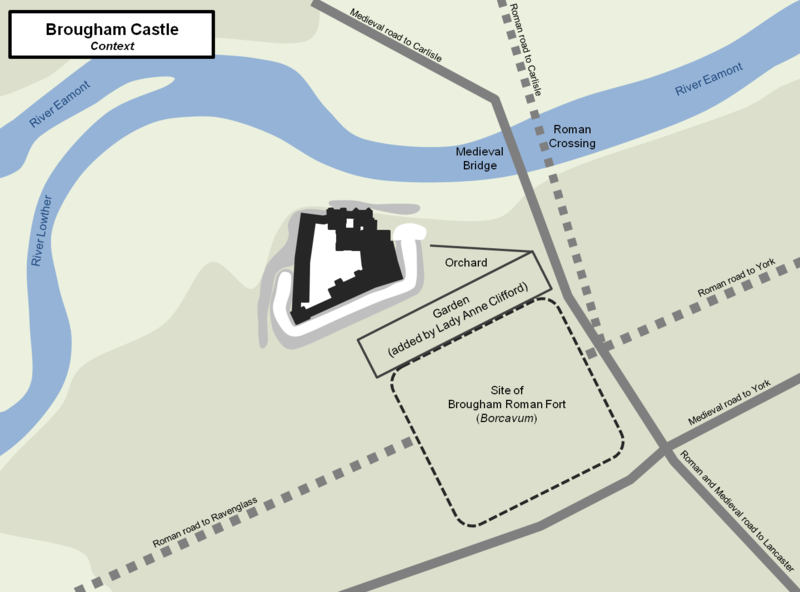 Brougham (Brocavum) was located at a junction of multiple Roman roads that connected Carlisle, Lancaster, Ravenglass and York. 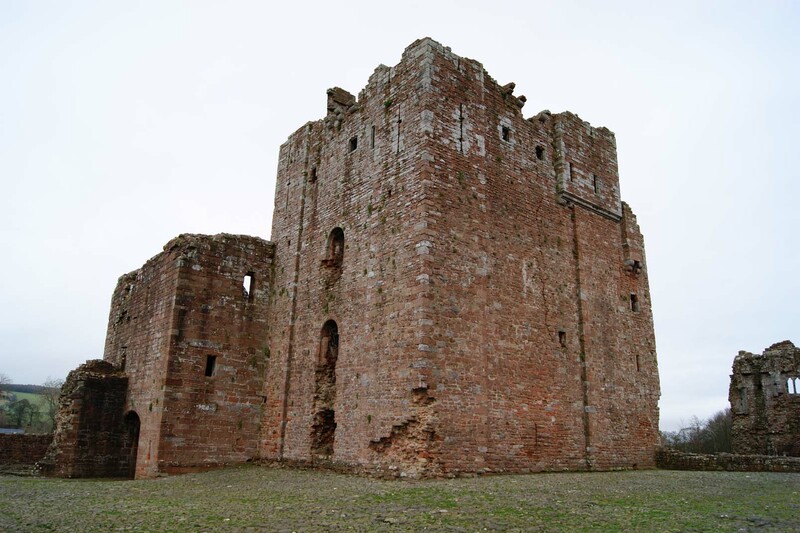 Brougham Castle is found just off the A66 approximately one mile from Junction 40 on the M6. The site is well sign-posted and the castle is visible from the main road. On-road parking is possible in the vicinity.